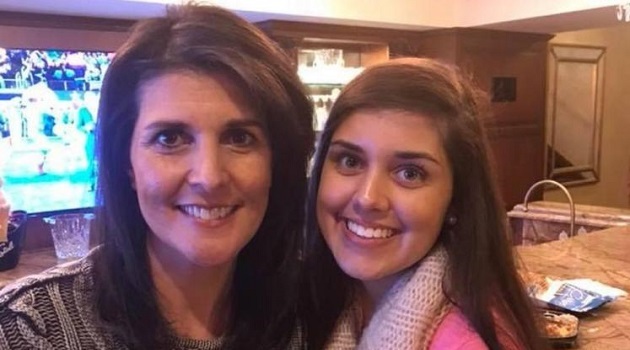 Ivanka Trump has endorsed Nikki Haley’s daughter Rena, a candidate for Clemson student body vice president. “Hi, Clemson fans, it’s Ivanka Trump. I am so proud of what each and every one of you are doing. Don’t forget to reach for new heights by voting for Huskey Haley,” the U.S. president’s daughter said in the 10-second video posted to Facebook. Rena, a junior nursing major, is running with junior biological science major Collin Huskey as the ticket’s presidential candidate. The voting was Feb. 27. Huskey and Haley promise to increase mental health funding, renovate student lounges, improve parking, advocate for more “green” features such as recycling bins and etc.